Martha Coakley Archives - Joe.My.God. 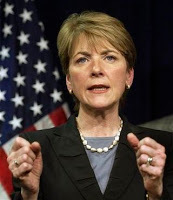 Massachusetts Attorney General Martha Coakley will hold a DOMA press conference at 3:30PM today. In the meantime, you know what to do. Starring our hero, MA Attorney General Martha Coakley. I’ve uploaded the PDF of the court’s decision to my Scribd account. Feel free to grab the embed code for your own sites. 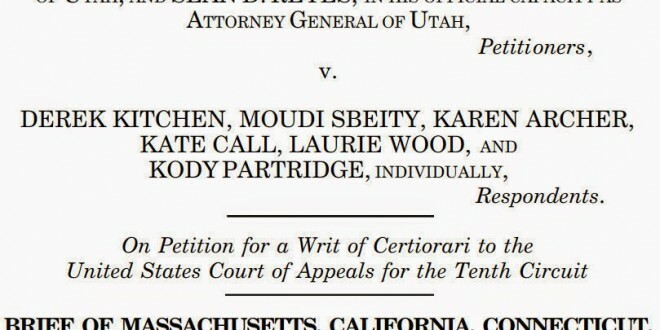 Click on “full screen” to read the entire 36-page ruling. 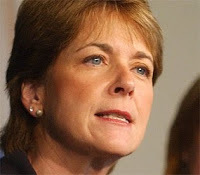 Eagle Forum executive harridan Phyliss Schlafly says that Scott Brown beat Martha Coakley because she’s a physically “unappealing” feminist. The Handmaidens seated at Schlafly’s feet cackled in appreciation. Schafly goes on to say that the reason so many women are in politics is because they been unshackled by the the drudgery of housework by dishwashers and dryers. JMG reader Wilson tips us to this teabagger clip for Scott Brown in which they say that a vote for him is a vote against the “tyrannical government of Obama.” The music is a riot. The comments on YouTube, not so much. The teabaggers are putting everything they’ve got into the campaign of Scott Brown, hoping to humiliate the president now that he’s so strongly endorsed Martha Coakley. 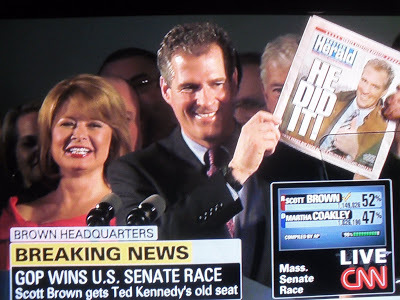 Teabaggers hero Scott Brown, who is running against MA Attorney General Martha Coakley in Tuesday’s special election to replace Ted Kennedy, said he’s not so sure that the president’s parents were married when Obama was born. This clip is from the 2008 GOP convention.